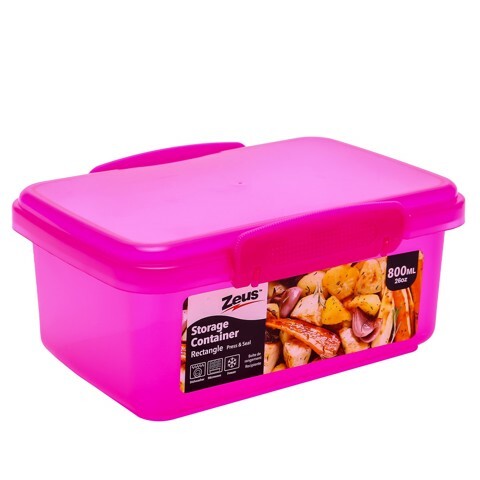 Storage Container Col 800Ml. PP with silicone ring. Available in 3 Assorted Colours: Blue | Pink | Green. PP with silicone ring. 0 Packaging: Bulk Packed with Label.